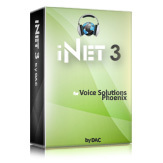 iNet 3 is a software transcription solution that works with the Voice Solutions Phoenix dictation system. With its user-friendly interface, iNet 3 is easy to learn and integrate into your existing infrastructure. Whether on the local network, through a VPN, or over the internet, iNet provides complete mobility when it comes to transcription. Your data is encrypted and user profiles have adjustable access permissions to ensure that company or HIPPA security policies are met. 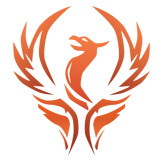 Since it works with the Phoenix server, administrative controls are server-side for greater control. iNet 3 is also Dragon Speech Recognition compatible! Enjoy the power of the world's most popular speech recognition solution with one of the world's most user-friendly transcription solutions!